Dallas Dodge Jeep Chrysler Ram invites you to search our fantastic stock of used cars, trucks, vans, and SUVs for sale near me in Dallas, TX. Our customer service specialists are standing by to help you find the next car of your dreams. Plus, don’t forget to ask about our used car financing program. 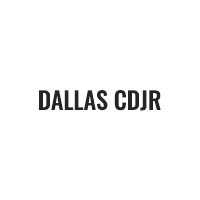 From perfect credit to low credit, Dallas Dodge Chrysler Jeep Ram will work hard to get you the used car financing you need. View our inventory online, stop by for a test drive, or call (214) 327-9361 today. We are excited to offer this 2014 Dodge Journey. This Dodge includes: FLEXIBLE SEATING GROUP Multi-Zone A/C 3rd Row Seat A/C Rear Bench Seat Front Head Air Bag Rear A/C Rear Head Air Bag Pass-Through Rear Seat GRANITE CRYSTAL METALLIC CLEARCOAT QUICK ORDER PACKAGE 28E UCONNECT VOICE COMMAND W/BLUETOOTH Auto-Dimming Rearview Mirror Leather Steering Wheel Bluetooth Connection MANUFACTURER'S STATEMENT OF ORIGIN WHEELS: 19 Tires - Front Performance Aluminum Wheels Tires - Rear Performance ENGINE: 3.6L V6 24V VVT Flex Fuel Capability V6 Cylinder Engine 50 STATE EMISSIONS TRANSMISSION: 6-SPEED AUTOMATIC 62TE A/T 6-Speed A/T *Note - For third party subscriptions or services, please contact the dealer for more information. * CARFAX BuyBack Guarantee is reassurance that any major issues with this vehicle will show on CARFAX report. This Dodge Journey offers all the comforts of a well-optioned sedan with the utility you demand from an SUV. More information about the 2014 Dodge Journey: The Dodge Journey competes in the crowded small SUV and crossover market. Offering a wide range of model choices, the Journey can be optioned up quite nicely despite its low base price. A more powerful than average V6 available makes it reasonably quick for this segment of vehicles. Interesting features of this model are Good handling for a small SUV, seating for up to seven, available all-wheel drive, powerful V6 engine We look forward to seeing you soon! Please call us for more information. We are excited to offer this 2012 Dodge Charger. Drive home in your new pre-owned vehicle with the knowledge you're fully backed by the CARFAX Buyback Guarantee. It's not a misprint. And the odometer isn't broken. This is a very low mileage Dodge Charger. A rare find these days. Based on the superb condition of this vehicle, along with the options and color, this Dodge Charger SE is sure to sell fast. More information about the 2012 Dodge Charger: The Dodge Charger's aggressive looks hint at the classic muscle car that shared its name, yet the car is a roomy, practical and comfortable mid-size 4-door sedan for the 21st century. At the top of the line, the new Charger SRT8 brings serious high performance. Chargers come in both rear- and all-wheel-drive form. The Charger features a near-50/50 weight distribution, so it has surprising poise on curvy roads. Prices start at a very affordable $25,495. Strengths of this model include available all-wheel drive, strong V8 performance, comfortable ride, Distinctive, uniquely American style, and supportive front seats We look forward to seeing you soon! Please call us for more information. We are excited to offer this 2012 Ram 1500. CARFAX BuyBack Guarantee is reassurance that any major issues with this vehicle will show on CARFAX report. A truly breathtaking example of pure vehicle design achievement...this is the vehicle of your dreams! The look is unmistakably Ram, the smooth contours and cutting-edge technology of this Ram 1500 ST will definitely turn heads. More information about the 2012 Ram 1500: The Ram stands out compared to other full-size pickups because of its well-engineered coil-spring rear suspension system, which allows a smoother ride compared to pickups with leaf springs, while permitting hauling and towing ratings comparable to those rival models. Its Hemi V8 engine is also one of the strongest options for half-ton truck shoppers, and it returns up to 20 mpg. Chrysler says that the Ram 1500 is the first truck in its segment to offer a solution known as the RamBox, that offers flexible storage bed-side--including a removable liner--and that it's the first truck in this class with available surround-sound audio. R/T models, with their Hemi V8 and shorter axle ratio, are also among the quickest pickups, with 0-60 mph in 6.1 seconds. Also, according to Chrysler, the new Ram 1500 Tradesman HD tops all other half-ton pickups with its trailer and payload ratings. This model sets itself apart with full luxury interior in upper trims, coil-spring rear suspension for a better ride, stylish, macho appearance, Strong Hemi V8, and innovative RamBox bed-side storage We look forward to seeing you soon! Please call us for more information. We are excited to offer this 2015 Jeep Renegade. This Jeep includes: ENGINE: 2.4L I4 MULTIAIR 4 Cylinder Engine Tires - Front All-Season Aluminum Wheels Flex Fuel Capability Tires - Rear All-Season NAVIGATION/SIRIUS SATELLITE RADIO WiFi Hotspot HD Radio Navigation System AM/FM Stereo Satellite Radio Bluetooth Connection Telematics Auxiliary Audio Input MP3 Player TRANSMISSION: 9-SPEED 948TE AUTOMATIC Transmission w/Dual Shift Mode A/T 9-Speed A/T GLACIER METALLIC 50 STATE EMISSIONS QUICK ORDER PACKAGE 27J *Note - For third party subscriptions or services, please contact the dealer for more information. * Drive home in your new pre-owned vehicle with the knowledge you're fully backed by the CARFAX Buyback Guarantee. The Jeep Renegade Latitude offers a fair amount of utility thanks to its advanced features and unique styling. It's also quite sporty, and injects an ample amount of handling chutzpah into the ridin'-high body of a family-friendly SUV. Take the guesswork out of where you are going with the top-tier navigation system found on this exceptional Jeep Renegade. More information about the 2015 Jeep Renegade: The Renegade is an important vehicle for Jeep. It's the first time they've ever committed to building what they call a small SUV. Jeep has been building compact SUVs for a while, but now they truly have a vehicle that doesn't just work in the city, but thrives there. Renegade pricing starts at under $18,000, significantly cheaper than the MINI Countryman which is roughly the same size. This model sets itself apart with short wheelbase for easy parking, available 4-wheel drive, low base price, Compact dimensions, good fuel economy, and lots of optional equipment We look forward to seeing you soon! Please call us for more information. We are excited to offer this 2014 Ram 1500. This Ram includes: 50 STATE EMISSIONS ANTI-SPIN DIFFERENTIAL REAR AXLE Locking/Limited Slip Differential ENGINE: 5.7L V8 HEMI MDS VVT (STD) 8 Cylinder Engine Gasoline Fuel TRANSMISSION: 6-SPEED AUTOMATIC (65RFE) Transmission w/Dual Shift Mode A/T 6-Speed A/T BLACK RAM 1500 EXPRESS GROUP 3.92 REAR AXLE RATIO PARKVIEW REAR BACK-UP CAMERA BLACK CLEARCOAT MANUFACTURER'S STATEMENT OF ORIGIN QUICK ORDER PACKAGE 25C EXPRESS Fog Lamps Wheel Locks Conventional Spare Tire Floor Mats *Note - For third party subscriptions or services, please contact the dealer for more information. * Your buying risks are reduced thanks to a CARFAX BuyBack Guarantee. Driven by many, but adored by more, the Ram 1500 Express is a perfect addition to any home. More information about the 2014 Ram 1500: The Ram 1500 already offered truck buyers a whole host of reasons to consider it, with power Hemi V8 availability, coilover rear suspension and innovative storage solutions, but with some very effective upgrades in key areas -- namely increased chassis strength, improved base engine power and efficiency and more intuitive interior ergonomics -- the Ram raises the bar for full-size trucks. Interesting features of this model are ample available V8 power with improved V6, Multiple model configurations to suit all needs, Ram-Box bed-side storage, increased fuel efficiency, and user-friendly cabins We look forward to seeing you soon! Please call us for more information. We are excited to offer this 2013 Jeep Wrangler. This Jeep includes: DEEP CHERRY RED CRYSTAL PEARL SIRIUSXM SATELLITE RADIO Satellite Radio PWR CONVENIENCE GROUP Power Mirror(s) Power Windows Auto-Dimming Rearview Mirror Heated Mirrors Security System Power Door Locks Keyless Entry ALPINE PREMIUM AUDIO SYSTEM Premium Sound System 24S CUSTOMER PREFERRED ORDER SELECTION PKG Aluminum Wheels A/C Leather Steering Wheel Tires - Rear On/Off Road Tires - Front On/Off Road 3.73 AXLE RATIO TUBULAR SIDE STEPS Running Boards/Side Steps ANTI-SPIN REAR DIFFERENTIAL Locking/Limited Slip Differential 3.6L SMPI 24V VVT V6 ENGINE (STD) V6 Cylinder Engine Gasoline Fuel 5-SPEED AUTOMATIC TRANSMISSION 5-Speed A/T A/T BLACK 3-PIECE HARD TOP Targa Roof Privacy Glass Rear Defrost Convertible Hardtop CONNECTIVITY GROUP Tire Pressure Monitor Leather Steering Wheel Bluetooth Connection Auxiliary Audio Input MP3 Player 50-STATE EMISSIONS *Note - For third party subscriptions or services, please contact the dealer for more information. * CARFAX BuyBack Guarantee is reassurance that any major issues with this vehicle will show on CARFAX report. Treat yourself to an SUV that surrounds you with all the comfort and conveniences of a luxury sedan. This vehicle comes with 4WD for better traction on unstable surfaces, like snow and dirt to give you the edge over anything you might encounter on the road. More information about the 2013 Jeep Wrangler: With prices starting at a little over $20,000 with standard 4-wheel drive, the classic Wrangler is one of the best SUV values available. The 6-speed manual transmission helps the Wrangler achieve a not-too-shabby 15 mpg city and 19 mpg highway rating. Jeep considers the Wrangler's off-road prowess integral to the brand, and they continue to make one of the most capable 4-wheel drive vehicles out there. The Wrangler is one of the most capable off-road vehicles sold today, with its inexpensive price being the icing on the cake. Strengths of this model include Iconic styling, impressive off-road prowess, and two and 4-door configurations available We look forward to seeing you soon! Please call us for more information. We are excited to offer this 2015 Dodge Charger. This vehicle is loaded with great features, plus it comes with the CARFAX BuyBack Guarantee. The less money you spend at the pump, the more money you'll have to spend on you. So why not consider this wonderfully styled, fuel-efficient Dodge Charger. Just what you've been looking for. With quality in mind, this vehicle is the perfect addition to take home. More information about the 2015 Dodge Charger: The Dodge Charger is a full-size sedan, offering strong V6 and V8 engines, along with rear-wheel drive or all-wheel drive on select V6 models. Chrysler claims that the Charger's all-wheel-drive system is the most advanced system offered in its class, as it completely disconnects the front wheels when not needed. Styling has always been a big part of the Charger's appeal, and while it relied on a retro-muscle look for years, a complete redesign gives it a much more look while still setting it apart from the crowd. Charger SE and SXT V6 models return a best-in-class 31 mpg on the highway, while performance-oriented R/T and SRT models are phenomenally athletic. On another level is the Hellcat; the car rivals most supercars, with 0?60mph coming in just 3.7 seconds and a top speed of 204 mph. Interesting features of this model are good gas mileage for V6 models, Fresh design, modern safety features, available all-wheel drive, supercar performance from SRT Hellcat, and wide range of models We look forward to seeing you soon! Please call us for more information. We are excited to offer this 2015 Jeep Grand Cherokee. CARFAX BuyBack Guarantee is reassurance that any major issues with this vehicle will show on CARFAX report. This Jeep Grand Cherokee Laredo defines excellence in an SUV. It has the convenience of limitless boundaries paired with city sophistication. You've found the one you've been looking for. Your dream car. More information about the 2015 Jeep Grand Cherokee: The Jeep Grand Cherokee has proven itself the premiere luxury SUV for 20 years. The latest Grand Cherokee builds on that tradition by offering civilized highway driving as well as the equipment to make a credible show off-road. The base Laredo 4x2 starts at just under $29,000 and comes very well-equipped. The top-of-the-line SRT's all-wheel-drive on-road performance rivals that of the Porsche Cayenne Turbo, but for half the price. Strengths of this model include powerful engine lineup with diesel availability, True, proven off-road prowess, luxurious interior, and high-performance SRT variant We look forward to seeing you soon! Please call us for more information. We are excited to offer this 2018 Dodge Grand Caravan. This vehicle is loaded with great features, plus it comes with the CARFAX BuyBack Guarantee. The Dodge Grand Caravan SE will provide you with everything you have always wanted in a car -- Quality, Reliability, and Character. The look is unmistakably Dodge, the smooth contours and cutting-edge technology of this Dodge Grand Caravan SE will definitely turn heads. You've found the one you've been looking for. Your dream car. We look forward to seeing you soon! Please call us for more information. We are excited to offer this 2014 Jeep Grand Cherokee. This vehicle is loaded with great features, plus it comes with the CARFAX BuyBack Guarantee. Perfect for the on-the-go family, this Jeep Grand Cherokee Limited is an SUV everyone will love. With exceptional mileage, options and power, you'll insist on driving it on all your outings. This is about the time when you're saying it is too good to be true, and let us be the one's to tell you, it is absolutely true. More information about the 2014 Jeep Grand Cherokee: The Jeep Grand Cherokee has proven itself the premiere luxury SUV for 20 years. The latest Grand Cherokee builds on that tradition by offering civilized highway driving as well as the equipment to make a credible show off-road. The base Laredo 4x2 starts at just under $29,000 and comes very well-equipped. And the top-of-the-line SRT's all-wheel-drive on-road performance rivals that of the Porsche Cayenne Turbo, but for half the price. Strengths of this model include high-performance SRT variant, powerful engine lineup with new diesel availability, True, proven off-road prowess, and luxurious interior We look forward to seeing you soon! Please call us for more information. We are excited to offer this 2018 Jeep Renegade. CARFAX BuyBack Guarantee is reassurance that any major issues with this vehicle will show on CARFAX report. Want more room? Want more style? This Jeep Renegade is the vehicle for you. This vehicle was engineered to be both economically and environmentally friendly with exceptional fuel efficiency. You've found the one you've been looking for. Your dream car. We look forward to seeing you soon! Please call us for more information.